With an almost full house audience, Hamazkaine Nairi, AGBU Tamzara & Melbourne’s Azad Ghar- ibian dance groups combined to make a 160 dance ensemble on what was also a month known as April of Living. The Three dance groups had three distinc- tive dance styles that Australian Audienc- es had never seen before together on the same stage. AGBU Tamzara dance group, only formed one year ago, performed beautifully contemporary Armenian danc- es with their senior group. Azad Gharibian dance group formed 22 years ago brought their whole group all the way from Mel- bourne, Victoria and performed traditional Armenian dances accompanied with traditional costumes, hair and makeup; while Nairi dance group performed mod- ern choreography coached by the one and only Hrachya Badalyan along side Asadour Hajian, coupled with amazing costumes in all age groups. A crew of over 30 volunteers also made sure that the night went smoothly. Without the leadership of Asadour Hadjian and the support of the Hamazkaine Nairi HMEM Ararat board, plus various Armeni- an community chapter leaders, dancers & members, this event could not have been possible. We hope that events such as this are one of many that unites Armenian youth from all over Australia in months and years to come. Dance can be de ned as “the rhythmic movement to music, using prescribed or impro- vised steps and gestures. One can perform a specialised set of movements to express a message.” This form of communication is an age old tool utilised by Armenian’s to educate, convey a message, preserve our culture and learn from our past in order to allow for new generations to build upon rich and steady foundations. 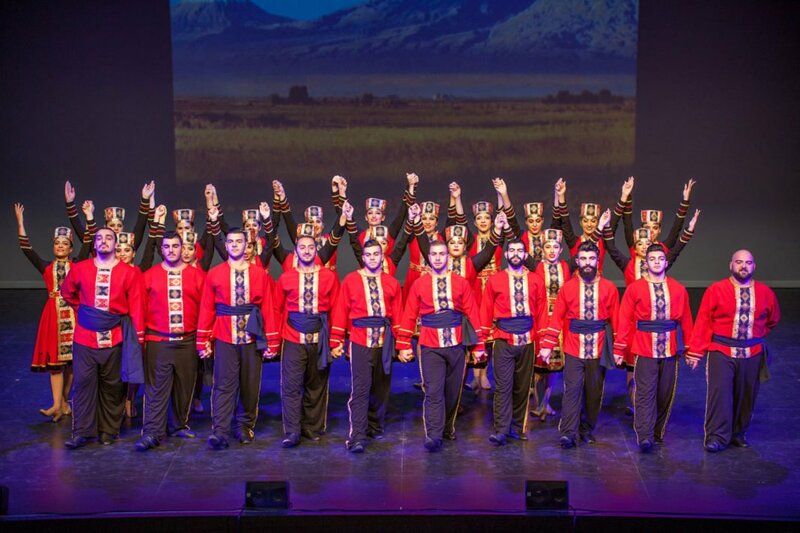 With these as the pillars our community was built upon, it should have come to no surprise when on the 30th of April, The Hamazkaine Nairi Dance Group invited Melbourne’s Azad Gharibian Dance Group and AGBU’s Tamzara Dance Group to perform side by side. 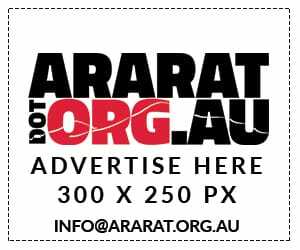 For the rst time in Australia, a tri-organi- sational collaboration saw to an appropri- ate wrap up of April with a dance concert dedicated to the soldiers protecting Artsakh. The showcase was titled “Abrir Abril” which can be translated to “live through April” highlighting the signi cance of the need to not only commemorate but to also celebrate the strengths and achievements Armenians have accomplished throughout history. Hamazkaine Nairi Dance Group kicked off the evening with a traditional Armenian Dance titled “Yarkhoushta”. It is a dance that is frequently danced by soldiers as they prepare to go to war. Footwork of the gentleman’s dances “Soorerov Par” only to be left in awe by the elegant glid- ing involved throughout “Nairian Aghchikner” and “Nazar”. The fresh collaboration was a perfect blend of both the traditional and contemporary, and for the rst time on stage, The Nairi dance senior girls group danced along- side a live acapella rendition of “Sareri Hovin Mernem” performed by the group vocalist, Isabel Marcarian. was infectious. All three dance groups held their own individual stage presence, but it was at this point in the evening that they proved, it is only through unity that we have strength. Hamazkaine Nairi Dance Group continues to prove time and time again that our culture and heritage has not, and will not be forgotten. It is being preserved and continuously re-taught in the Australian Diaspora through the beautiful form of Armenian dance.